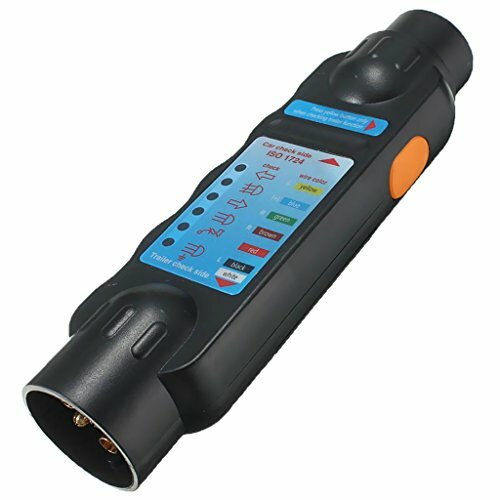 - This 7 Pin Tester is designed to indicate a failure in the wiring on both towing vehicles and trailers/caravans etc. - Just plug the tester in the 7 pin socket or the 7 pin plug of the trailer or caravan and press the yellow button on the side of the tester. - With a 6 light LED system. - All the LEDs light up when the wiring is good. - Product Size: Approx.20 x 6 x 4 cm/7.9 x 2.4 x 1.6 "
With a 6 light LED system.